After studying for a year in the Netherlands, Zelda scores an internship at the prestigious Amsterdam Museum, where she works on an exhibition of paintings and sculptures once stolen by the Nazis, lying unclaimed in Dutch museum depots almost seventy years later. When two women claim the same portrait of a young girl entitled Irises, Zelda is tasked with investigating the painting’s history and soon finds evidence that one of the two women must be lying about her past. Before she can figure out which one and why, Zelda learns about the Dutch art dealer’s concealed collection. And that Irises is the key to finding it. My Thoughts: The teaser on the front cover gave me some idea where the story was going—One painting. Two claimants. Three murders. Isn’t that intriguing? What I particularly liked about this book is how the author weaves an excellent mystery around a time period and subject I rarely read about. It is quite the eye-opener. The author is familiar with her material from personal experience, living in Amsterdam. She also has degrees in art history and museum studies. With her journalist background, passion for writing, along with the credentials, she created a believable and cunning plot. I appreciated her story crafting, providing pieces of the mystery while keeping me guessing all along; the way she keeps the mystery unfolding; and the way she moves the reader from the 1940’s to the present as the mystery and suspense coil ever-tighter. I learned so much about how artists were able to ‘hide’ their work from the greed of those who would take what doesn’t belong to them. I didn’t feel the author pushed ‘history’ down my throat, rather it came as a by-product of the story unfolding. Well written! This story captures how times have changed, just some 80 years ago, people were much less accepting and tolerant of different life styles. We still struggle with this, however. I enjoy Zelda’s not-letting-anything-slide attitude with a bit of humor thrown in. She is quite the Nancy Drew of Amsterdam. I also enjoy her exuberance for getting into the Master’s program. I’m hoping Frederick and she will have a future. He is a true friend. Perhaps in a sequel? The story was a bit of a slow starter and the initial voice portrayed by Carol Purdom fell flat for me, that is, the voice for the museum’s project manager. However, her voice for the old woman who claims the painting is hers, and the belligerent curator reliving his past disappointments, has her doing an admirable job adding energy to the telling. All-in all, I enjoyed the sleuth and well-written plot. 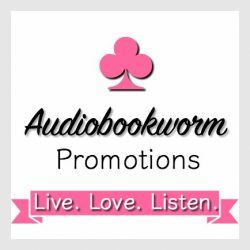 This entry was posted in Action/Adventure, Mystery, Suspense and tagged Audiobook Review, Carol Purdom, Historical Fiction, Jennifer S. Alderson, Mystery, The Lover's Portrait. Bookmark the permalink. 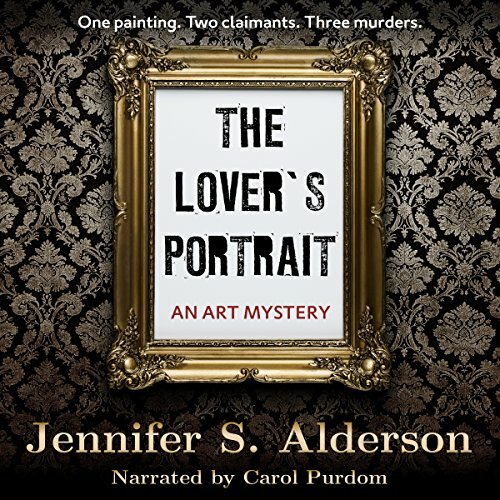 2 Responses to Audiobook Review: THE LOVER’S PORTRAIT by Jennifer S. Alderson ~ an art mystery based in Amsterdam during the 40’s. Thank you for listening to my audiobook and posting this wonderful review! I’m glad to see you enjoyed my art mystery. Happy new year!